Savor the diversity and history of the great cities of New England and Eastern Canada on this enchanting vacation. The highlight of this tour is a 7-night cruise to Canada’s historic towns and beautiful places. Aboard a 5-star Holland America ship, travel to Québec City, a UNESCO World Heritage Site and Canada’s only walled town; charming Charlottetown on Prince Edward Island; scenic Sydney, originally settled by Highland Scots; Halifax, famous for its lighthouses on cliffside ledges and tiny villages huddled in rocky inlets; Bar Harbor, surrounded by Acadia National Park, where you can stroll along the charming waterfront and browse the shops and galleries; and Boston. Enjoy an orientation tour of Boston including Boston Common, the Old State House, Freedom Trail, and Faneuil Hall. Depart Boston for New Hampshire and the scenic White Mountains, New England’s greatest range and premier outdoor playground. 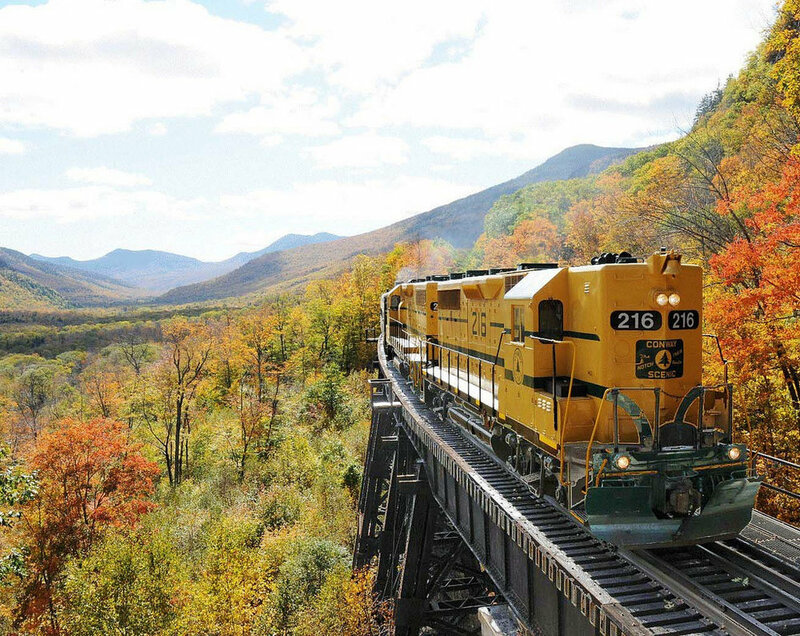 At Franconia Notch, board the Cannon Mountain TRAMWAY for a thrilling ride to the 4,080-foot summit. On a clear day, you can see the mountains of four states and Canada! Also enjoy a RAVEN INTERPRETIVE WILDLIFE PROGRAM focusing on the endemic flora and fauna. Depart for a beautiful drive to Stowe, stopping for a tour at a MAPLE SYRUP FARM, where you’ll learn the art of making maple syrup and enjoy a local treat. Continue to Vergennes, overlooking Lake Champlain with views of the Adirondacks and Green Mountains. Visit nearby SHELBURNE HERITAGE PARK, which exhibits one of the nation’s most extraordinary collections of American decorative, folk, and fine art. It showcases buildings from around New England and New York, including an 1890 railroad station, a lighthouse, a stagecoach inn, and an Adirondack lodge. Travel northwest to Montréal, Canada’s second-largest city. As Montréal has a unique mix of historical, natural, and cultural offerings, you may like to visit Old Port Montréal, the McCord Museum, or stroll around Mount Royal Park. This morning, sightseeing with a Local Guide includes NOTRE DAME BASILICA, the Old Seminary of St. Sulpice, and a drive to the top of Mount Royal to enjoy a panorama of the city. This afternoon, transfer to Montréal’s port to embark on your ship for a 7-night CRUISE. Québec City marks the start of Saguenay Fjord. This 200-mile-long natural canal brings saltwater from the Atlantic Ocean inland and creates a beautiful environment for waterfront living for the communities of the St. Lawrence Seaway. Spend the day at leisure aboard the ship, taking advantage of the numerous amenities. Spend the day in Charlottetown on Prince Edward Island, the provincial capital named after Queen Charlotte, consort of King George III. The city is famous for hosting the 1864 conference that three years later led to the creation of the independent Dominion of Canada. Perhaps take a trip to Cavendish and visit the famous Anne of Green Gables homestead. So green and Gaelic is Cape Breton Island that Scotsman Alexander Graham Bell called it home for the last 37 years of his life. In fact, Cape Breton was principally settled by Highland Scots whose families had come out on the wrong side of rebellions against the Crown. You can still see this heritage in the accents in some remote villages—and in the great popularity of Scottish-style folk music. Today, you may choose to travel along the scenic Cabot Trail or visit historic Louisbourg Fortress, which recreates life in French-occupied Canada. The tour ends this morning. Guests depart on individual schedules; airport transfers are provided. Please schedule your flights after Noon.